Uni-Ball Deluxe Pens are a cult classic. 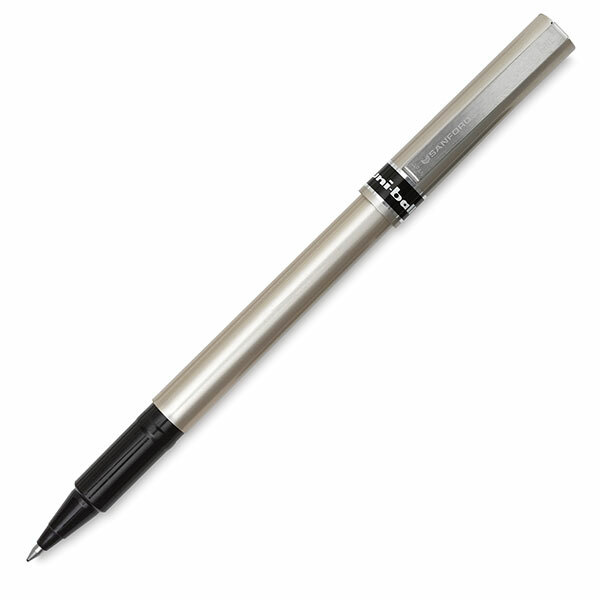 The innovative cotton reservoir and super-durable tip with a hard tungsten carbide ball release just the right amount of ink making it the perfect tool for mess-free writing. Both styles contain acid-free, waterproof, and fade-resistant pigment liquid ink. Non-refillable. Uni-Ball Fine Deluxe 177 — Elegant champagne finish with metal clip. 0.7 mm ball writes 0.5 mm line. Black ink. Uni-Ball Micro Deluxe 155 — Elegant gun-metal finish with metal clip. 0.5 mm ball writes 0.3 mm line. Black ink.